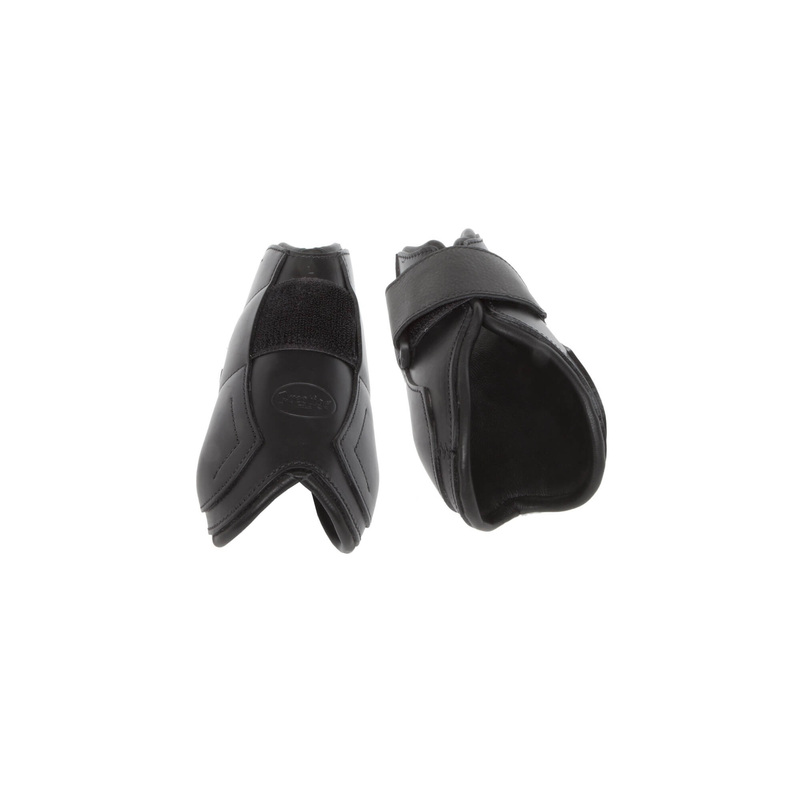 PRESTIGE boots on rear legs fastened with leather stripes and extremely strong and durable Velcro. 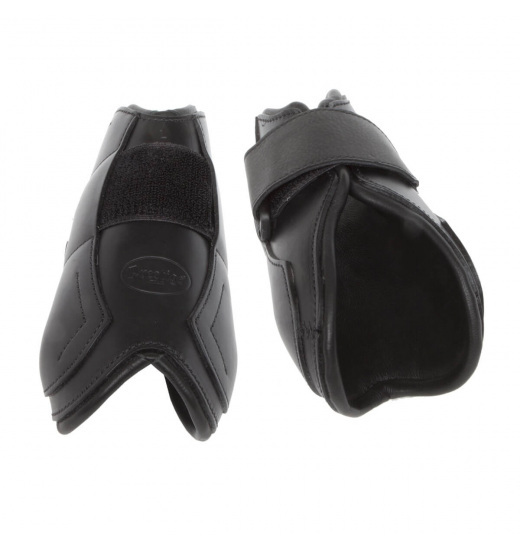 Perfectly fit to the horse's legs , in effect protecting them well from injury. The inner side of boots has additional reinforcement.